The music of Frozen is one of the reasons why the film has been so incredibly successful. The film has now grossed over $900 million worldwide, the soundtrack has been on the top of the Billboard charts for weeks, and there is now a stage musical based on the film in development. A sing-along version of the film was released in theaters recently so that audiences could sing along to the songs in the film. The cast from the film reunited last night to sing the songs live at a special event. Watch video from the great night after the break! 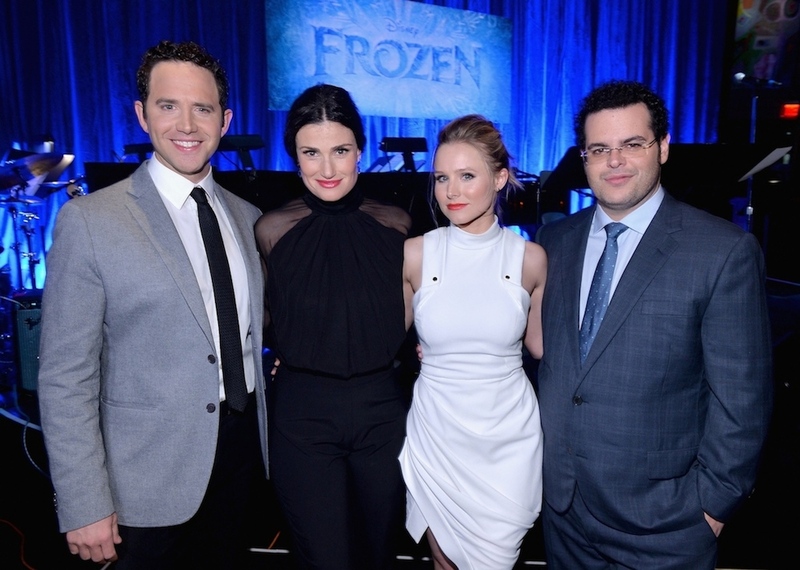 Frozen star Josh Gad (Olaf) served as the host of the evening’s festivities, and was joined on stage by co-stars Kristen Bell (Anna), Idina Menzel (Elsa), and Santino Fontana (Hans), who all belted out some of the memorable songs from the film’s soundtrack. We will likely never see all these stars singing live together again, so it truly was a memorable event. You can tell just how much fun they’re having, even from the brief clips of their performances (see Bell playfully sing “Love Is An Open Door”). Now, who would not have wanted to be there last night? It would be incredible to see more from the performances, so if Disney ever finds an avenue to release it, I am sure fans would give a kidney or two in order to have the opportunity to see it. Frozen continues to play in theaters and smash records. It is up for two Academy Awards nominations, Best Animated Feature and Best Original Song (“Let It Go”), the awards for which will be handed out on Sunday, March 2nd.